Don’t Fear the Reefer-Evidence Mounts for Plant-Based Cannabidiol as Treatment for Epilepsy. “Cannabidiol has been used for treatment-resistant seizures in patients with severe early-onset epilepsy. We investigated the efficacy and safety of cannabidiol added to a regimen of conventional antiepileptic medication to treat drop seizures in patients with the Lennox-Gastaut syndrome, a severe developmental epileptic encephalopathy. In this double-blind, placebo-controlled trial conducted at 30 clinical centers, we randomly assigned patients with the Lennox-Gastaut syndrome (age range, 2-55 years) who had had 2 or more drop seizures per week during a 28-day baseline period to receive cannabidiol oral solution at a dose of 20 mg/kg of body weight (20-mg cannabidiol group) or 10 mg/kg (10-mg cannabidiolgroup) or matching placebo, administered in 2 equally divided doses daily for 14 weeks. The primary outcome was the percentage change from baseline in the frequency of drop seizures (average per 28 days) during the treatment period. A total of 225 patients were enrolled; 76 patients were assigned to the 20-mg cannabidiol group, 73 to the 10-mg cannabidiol group, and 76 to the placebo group. During the 28-day baseline period, the median number of drop seizures was 85 in all trial groups combined. The median percentage reduction from baseline in drop seizure frequency during the treatment period was 41.9% in the 20-mg cannabidiol group, 37.2% in the 10-mg cannabidiol group, and 17.2% in the placebo group ( P = .005 for the 20-mg cannabidiol group vs placebo group, and P = .002 for the 10-mg cannabidiol group vs placebo group). The most common adverse events among the patients in the cannabidiol groups were somnolence, decreased appetite, and diarrhea; these events occurred more frequently in the higher dose group. Six patients in the 20-mg cannabidiol group and 1 patient in the 10-mg cannabidiol group discontinued the trial medication because of adverse events and were withdrawn from the trial. Fourteen patients who received cannabidiol (9%) had elevated liver aminotransferase concentrations. Among children and adults with the Lennox-Gastaut syndrome, the addition of cannabidiol at a dose of 10 or 20 mg/kg/d to a conventional antiepileptic regimen resulted in greater reductions in the frequency of drop seizures than placebo. Adverse events with cannabidiol included elevated liver aminotransferase concentrations. (Funded by GW Pharmaceuticals; GWPCARE3 ClinicalTrials.gov number, NCT02224560.) 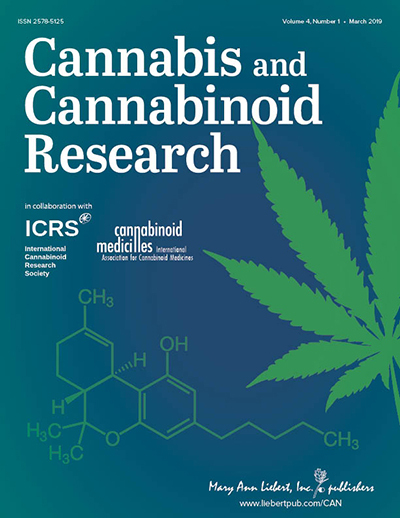 Long-Term Safety and Treatment Effects of Cannabidiol in Children and Adults With Treatment-Resistant Epilepsies: Expanded Access Program Results Szaflarski JP, Bebin EM, Comi AM, et al; CBD EAP Study Group. Epilepsia. 2018;59(8):1540-1548. Since 2014, cannabidiol (CBD) has been administered to patients with treatment-resistant epilepsies (TREs) in an ongoing expanded access program (EAP). We report interim results on the safety and efficacy of CBD in EAP patients treated through December 2016. Twenty-five US-based EAP sites enrolling patients with TRE taking stable doses of antiepileptic drugs (AEDs) at baseline were included. During the 4-week baseline period, parents/caregivers kept diaries of all countable seizure types. Patients received oral CBD starting at 2 to 10 mg/kg/d, titrated to a maximum dose of 25 to 50 mg/kg/d. Patient visits were every 2 to 4 weeks through 16 weeks and every 2 to 12 weeks thereafter. Efficacy end points included the percentage change from baseline in median monthly convulsive and total seizure frequency and percentage of patients with ≥50%, ≥75%, and 100% reductions in seizures versus baseline. Data were analyzed descriptively for the efficacy analysis set and using the last-observation-carried-forward method to account for missing data. Adverse events (AEs) were documented at each visit. Of 607 patients in the safety data set, 146 (24%) withdrew; the most common reasons were lack of efficacy (89 [15%]) and AEs (32 [5%]). Mean age was 13 years (range, 0.4-62). Median number of concomitant AEDs was 3 (range, 0-10). Median CBD dose was 25 mg/kg/d; median treatment duration was 48 weeks. Add-on CBD reduced median monthly convulsive seizures by 51% and total seizures by 48% at 12 weeks; reductions were similar through 96 weeks. Proportion of patients with ≥50%, ≥75%, and 100% reductions in convulsive seizures were 52%, 31%, and 11%, respectively, at 12 weeks, with similar rates through 96 weeks. Cannabidiol was generally well tolerated; most common AEs were diarrhea (29%) and somnolence (22%). Results from this ongoing EAP support previous observational and clinical trial data, showing that add-on CBD may be an efficacious long-term treatment option for TRE. Randomized, Dose-Ranging Safety Trial of Cannabidiol in Dravet Syndrome Devinsky O, Patel AD, Thiele EA, et al; GWPCARE1 Part A Study Group. Neurology. 2018;90(14):e1204-e1211. To evaluate the safety and preliminary pharmacokinetics of a pharmaceutical formulation of purified cannabidiol (CBD) in children with Dravet syndrome. Patients aged 4 to 10 years were randomized 4:1 to CBD (5, 10, or 20 mg/kg/d) or placebo taken twice daily. The double-blind trial comprised 4-week baseline, 3-week treatment (including titration), 10-day taper, and 4-week follow-up periods. Completers could continue in an open-label extension. Multiple pharmacokinetic blood samples were taken on the first day of dosing and at end of treatment for measurement of CBD, its metabolites 6-OH-CBD, 7-OH-CBD, and 7-COOH-CBD, and antiepileptic drugs (AEDs; clobazam and metabolite N-desmethylclobazam [N-CLB], valproate, levetiracetam, topiramate, and stiripentol). Safety assessments were clinical laboratory tests, physical examinations, vital signs, electrocardiograms, adverse events (AEs), seizure frequency, and suicidality. Thirty-four patients were randomized (10, 8, and 9 to the 5, 10, and 20 mg/kg/d CBD groups and 7 to placebo); 32 (94%) completed treatment. Exposure to CBD and its metabolites was dose proportional (AUC0-t). Cannabidiol did not affect concomitant AED levels, apart from an increase in N-CLB (except in patients taking stiripentol). The most common AEs on CBD were pyrexia, somnolence, decreased appetite, sedation, vomiting, ataxia, and abnormal behavior. Six patients taking CBD and valproate developed elevated transaminases; none met criteria for drug-induced liver injury and all recovered. No other clinically relevant safety signals were observed. Exposure to CBD and its metabolites increased proportionally with dose. An interaction with N-CLB was observed, likely related to CBD inhibition of cytochrome P450 subtype 2C19. Cannabidiol resulted in more AEs than placebo but was generally well tolerated. Treatment of Fragile X Syndrome with Cannabidiol: A Case Series Study and Brief Review of the Literature. “Fragile X syndrome (FXS) is an X-linked dominant disorder caused by a mutation in the fragile X mental retardation 1 gene. Cannabidiol (CBD) is an exogenous phytocannabinoid with therapeutic potential for individuals with anxiety, poor sleep, and cognitive deficits, as well as populations with endocannabinoid deficiencies, such as those who suffer from FXS. The objective of this study was to provide a brief narrative review of recent literature on endocannabinoids and FXS and to present a case series describing three patients with FXS who were treated with oral CBD-enriched (CBD+) solutions. We review recent animal and human studies of endocannabinoids in FXS and present the cases of one child and two adults with FXS who were treated with various oral botanical CBD+ solutions delivering doses of 32.0 to 63.9 mg daily. Multiple experimental and clinical models of FXS combine to highlight the therapeutic potential of CBD for management of FXS. Cannabidiol as adjunctive treatment of seizures associated with Lennox-Gastaut syndrome and Dravet syndrome. “Epilepsy is one of the most common chronic disorders of the brain affecting around 70 million people worldwide. Treatment is mainly symptomatic, and most patients achieve long-term seizure control. Up to one-third of the affected subjects, however, are resistant to anticonvulsant therapy. Lennox-Gastaut syndrome (LGS) and Dravet syndrome (DS) are severe, refractory epilepsy syndromes with onset in early childhood. Currently available interventions fail to control seizures in most cases, and there remains the need to identify new treatments. Cannabidiol (CBD) is the first in a new class of antiepileptic drugs. It is a major chemical of the cannabis plant, which has antiseizure properties in absence of psychoactive effects. Update on Antiepileptic Drugs 2019. “This article is an update from the article on antiepileptic drug (AED) therapy published in the last Continuum issue on epilepsy and is intended to cover the vast majority of agents currently available to the neurologist in the management of patients with epilepsy. Treatment of epilepsy starts with AED monotherapy. Knowledge of the spectrum of efficacy, clinical pharmacology, and modes of use for individual AEDs is essential for optimal treatment for epilepsy. This article addresses AEDs individually, focusing on key pharmacokinetic characteristics, indications, and modes of use. Since the previous version of this article was published, three new AEDs, brivaracetam, cannabidiol, and stiripentol, have been approved by the US Food and Drug Administration (FDA), and ezogabine was removed from the market because of decreased use as a result of bluish skin pigmentation and concern over potential retinal toxicity.Older AEDs are effective but have tolerability and pharmacokinetic disadvantages. Several newer AEDs have undergone comparative trials demonstrating efficacy equal to and tolerability at least equal to or better than older AEDs as first-line therapy. The list includes lamotrigine, oxcarbazepine, levetiracetam, topiramate, zonisamide, and lacosamide. Pregabalin was found to be less effective than lamotrigine. Lacosamide, pregabalin, and eslicarbazepine have undergone successful trials of conversion to monotherapy. Other newer AEDs with a variety of mechanisms of action are suitable for adjunctive therapy. Most recently, the FDA adopted a policy that a drug’s efficacy as adjunctive therapy in adults can be extrapolated to efficacy in monotherapy. In addition, efficacy in adults can be extrapolated for efficacy in children 4 years of age and older. Both extrapolations require data demonstrating that an AED has equivalent pharmacokinetics between its original approved use and its extrapolated use. In addition, the safety of the drug in pediatric patients has to be demonstrated in clinical studies that can be open label. Rational AED combinations should avoid AEDs with unfavorable pharmacokinetic interactions or pharmacodynamic interactions related to mechanism of action. Joints for joints: cannabinoids in the treatment of rheumatoid arthritis. “An increasing number of patients with rheumatoid arthritis (RA) are using cannabis to treat their symptoms, although systematic studies regarding efficacy in RA are lacking. Within this review we will give an overview on the overall effects of cannabinoids in inflammation and why they might be useful in the treatment of RA. Peripherally, cannabinoids show anti-inflammatory effects by activating cannabinoid type 2 receptors (CB2) which decrease cytokine production and immune cell mobilization. In contrast, cannabinoid type 1 receptor (CB1) activation on immune cells is proinflammatory while CB1 antagonism provides anti-inflammatory effects by increasing β2-adrenergic signaling in the joint and secondary lymphoid organs. In addition, the nonpsychotropic cannabinoid, cannabidiol (CBD) demonstrated antiarthritic effects independent of cannabinoid receptors. In addition to controlling inflammation, cannabinoids reduce pain by activating central and peripheral CB1, peripheral CB2 receptors and CBD-sensitive noncannabinoid receptor targets. Cannabidiol attenuates mechanical allodynia in streptozotocin-induced diabetic rats via serotonergic system activation through 5-HT1A receptors.